Growing up did you ever put peanuts in your bottle of Coke? I used to love that! Visiting with my niece over Thanksgiving, somehow we got to talking about that and she had never heard of it. I even had to play her that Barbara Mandrell song, I Was Country When Country Wasn’t Cool, so she would know I was not making that up. Anyway, one of my mom’s favorite candy is peanut clusters. So I found this recipe all over Pinterest and decided to make some for her. 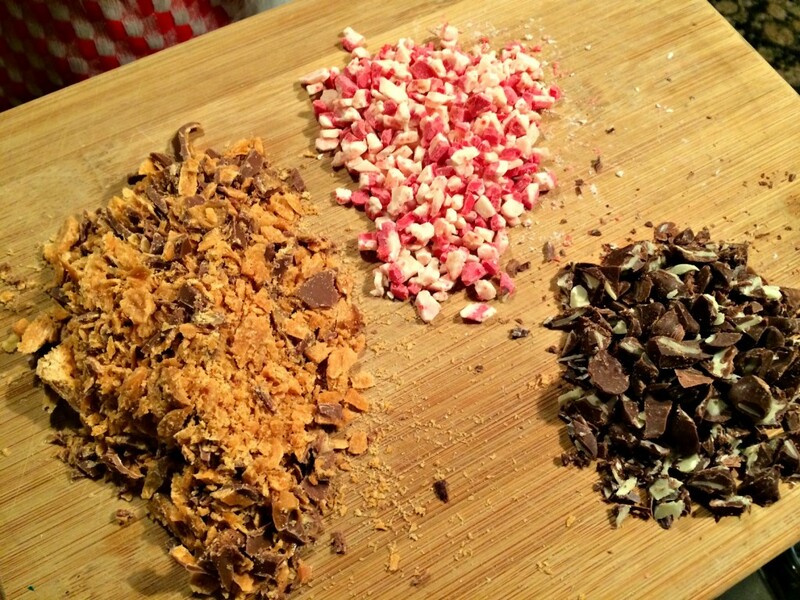 These are not to be confused with my Rocky Road Fudge Squares I posted recently. Different textures and flavors. Of course, I revised it. By accident. At first I purchased chocolate almond bark. Then I went and bought the white chocolate version. Then when I had the peanuts in the crockpot, I realized I needed two pounds of it. Seeing as how I was already in my pajamas and in for the night, that was not happening. So I improvised and used two different chips and it turned out great! My clusters are a little big but that’s usually how my serving sizes are so it’s fine. This made six dozen so if you want more, just make your clusters smaller. 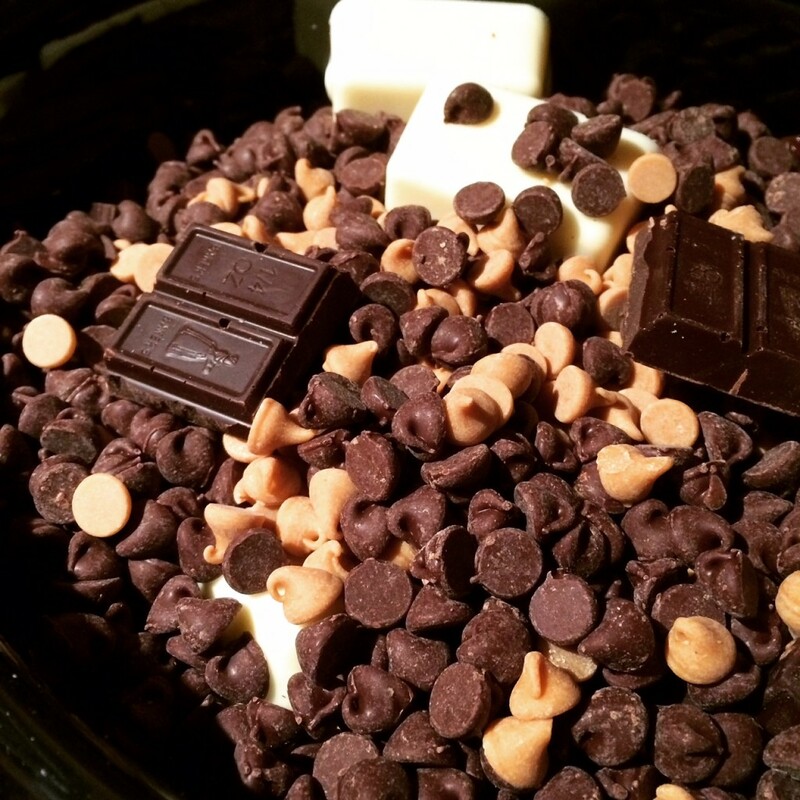 Layer ingredients into the slow cooker in order. Let cook for 2 hours on low. Prepare cookie sheets with wax paper. After letting chocolate melt for two hours, mix chocolate and peanuts together thoroughly to ensure chocolate gets all over all the peanuts and all the chocolate melts. 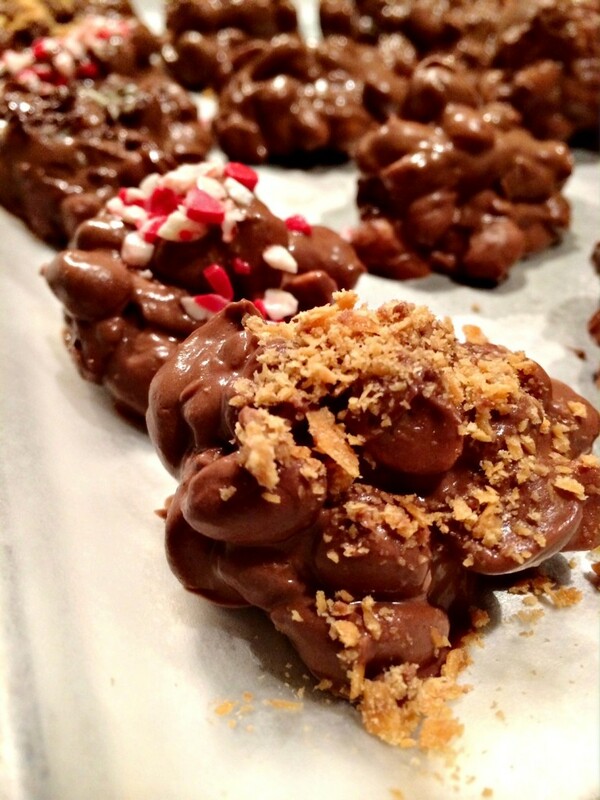 Using a cookie scoop, drop peanut clusters onto the wax paper. Makes 6 dozen huge clusters.